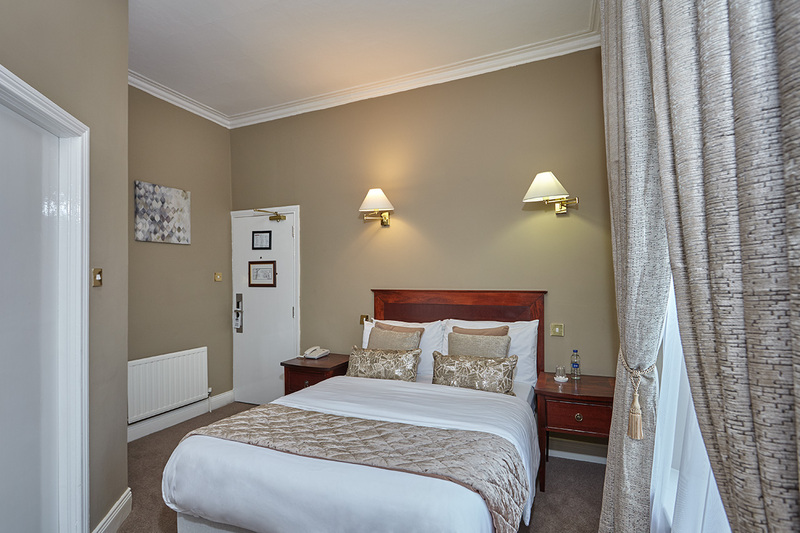 The Uppercross hotel offers well-appointed accommodation for both leisure and business guests. 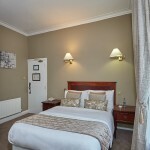 The Georgian building boasts a mix of traditional and classic designs with modern essentials to satisfy all guests’ needs providing space for relaxation and work and are furnished with comfortable furniture to enhance your hotel experience. 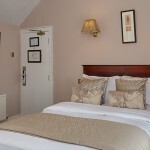 Our Single rooms comprise of 1 double bed and is suitable for 1 person. 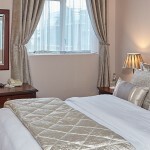 Rooms are equipped with self controlled central or underfloor heating. Work desk with complimentary high speed internet access available in all Rooms, allowing you to keep in touch with the world. 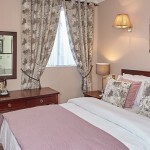 Or kick back and relax on the comfortable beds with crisp white linen, watching multi-channel TV on the wide screen TV. Treat yourself to our room service facilities, during restaurant opening hours, from our award winning Mother Reilly’s Bar & Restaurant. 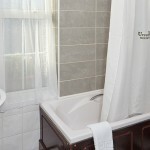 Rooms are complimented by ensuite bathrooms featuring a bath and/or shower with hairdryer. We supply freshly laundered towels and a full range of complimentary toiletries including shower caps, soaps, shampoo and bath gels in the refreshing Pure range. Additional items such as toothbrush, toothpaste, shoe polish and razors can be purchased for a nominal fee from reception. After having enjoyed a good night’s rest in our comfortable beds, we are proud to offer you with a breakfast to kick start your day. Help yourself to our continental buffet while we prepare a full Irish breakfast freshly cooked, and of course – get your eggs just the way you like them! Not on the menu? Just let a member of the restaurant team know and they will be delighted to accommodate your needs should you have any dietary requirements.